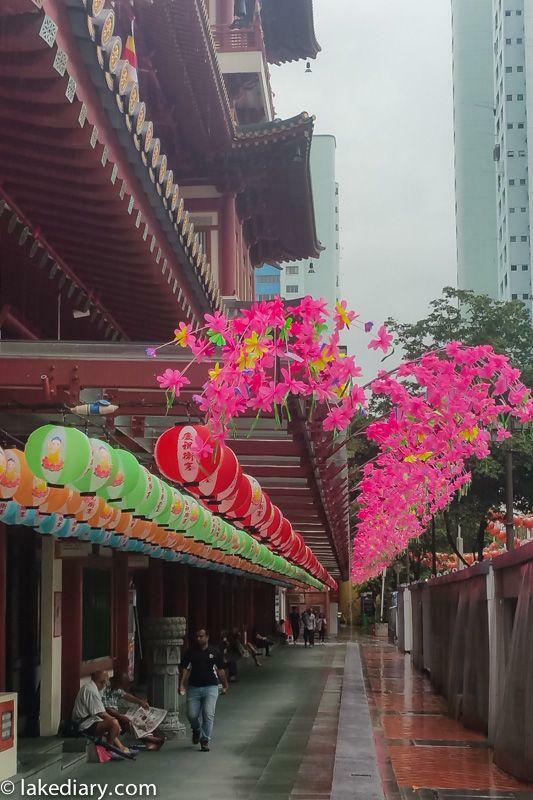 Singapore Chinatown is located right in the centre of Singapore and is very easy to get to. 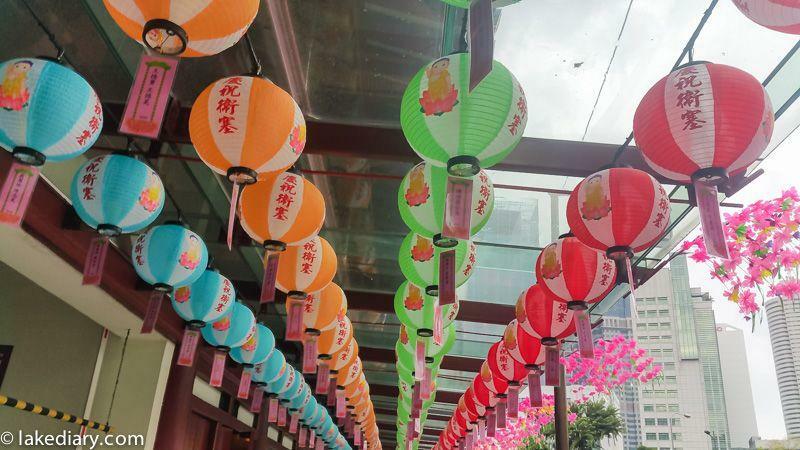 A trip to Chinatown is a must if the country I’m visiting has one. 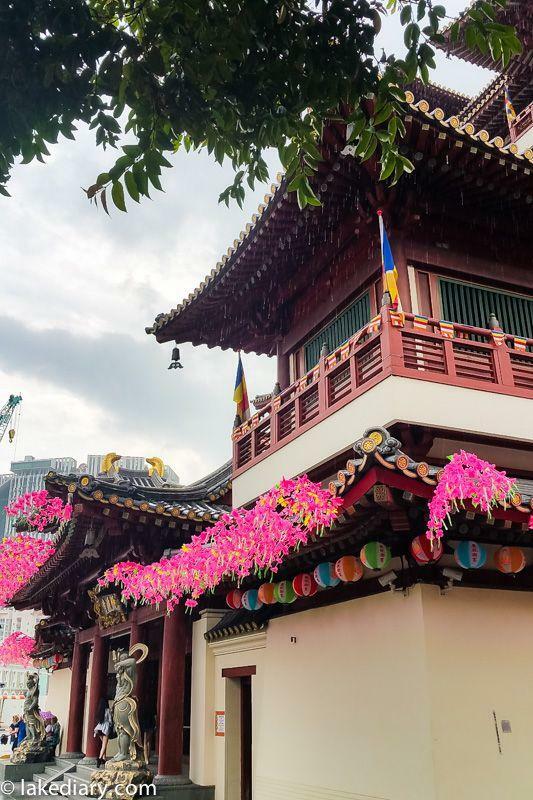 I’m not interested in browsing Chinatown market stalls or having anything from Singapore Chinatown food street so the main focus on my visit to Chinatown Singapore was on Temples and trying the traditional Hainanese chicken rice from a hawker stall that has the best reviews. Yep, being a crazy hungry Asian, my focus is always somewhat on food. You might know by now I have a thing for temples – old ruins, perfectly maintained or newish ones. 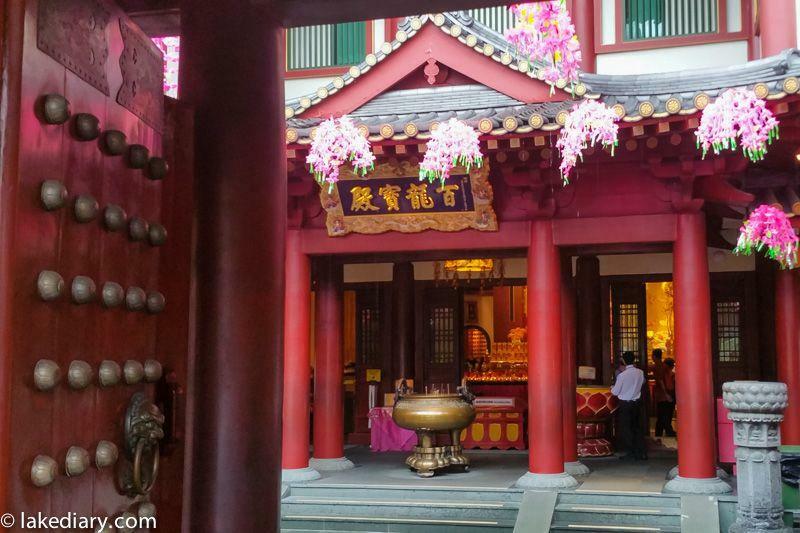 The Buddha Tooth Relic Temple turned out to be grander than I’d expected. It was raining by the time I got there so using mobile phone to take photos became a better option. 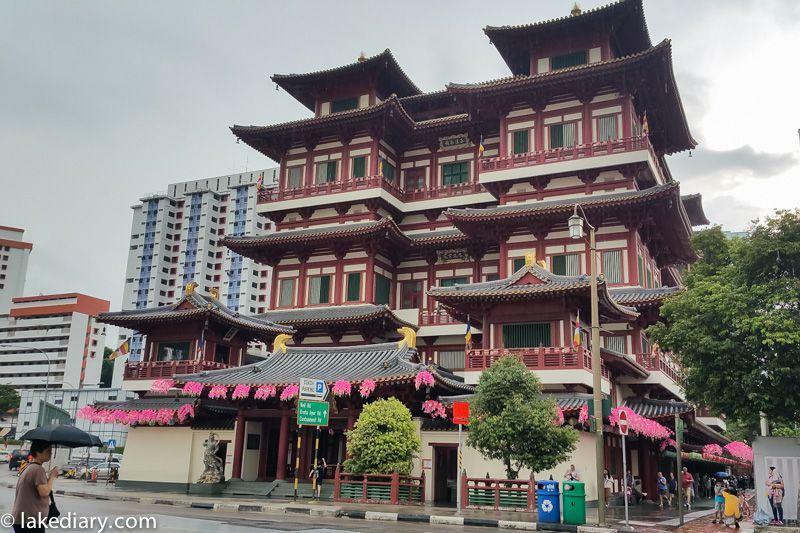 Here are a few photos from my visit to Singapore chinatown the Buddha Tooth Relic Temple. Can you see the rain drops? 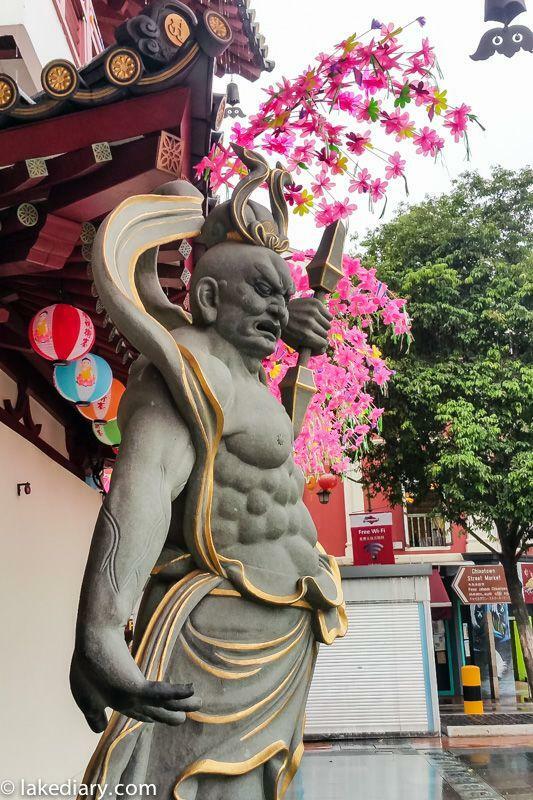 is the oldest shrine in Singapore and one of the most prominent places of worship for Tamil Hindus in the country. 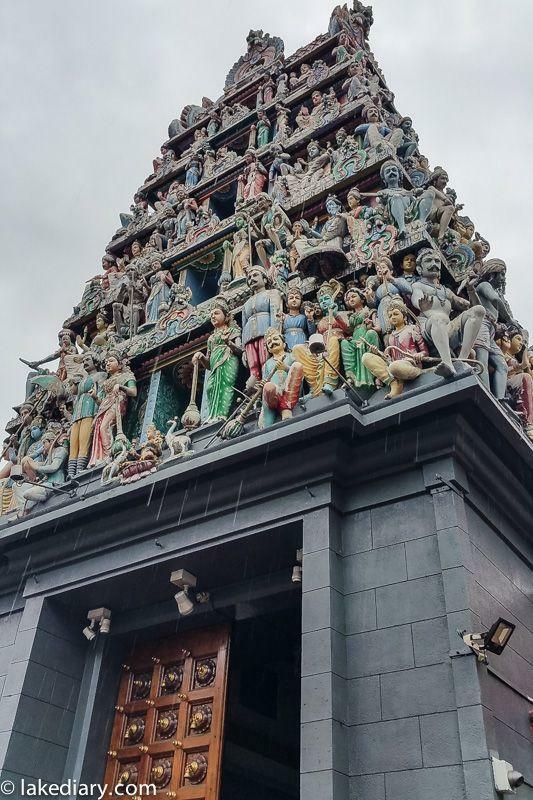 It was built to honour Goddess Mariamman – the deity of disease and protection. 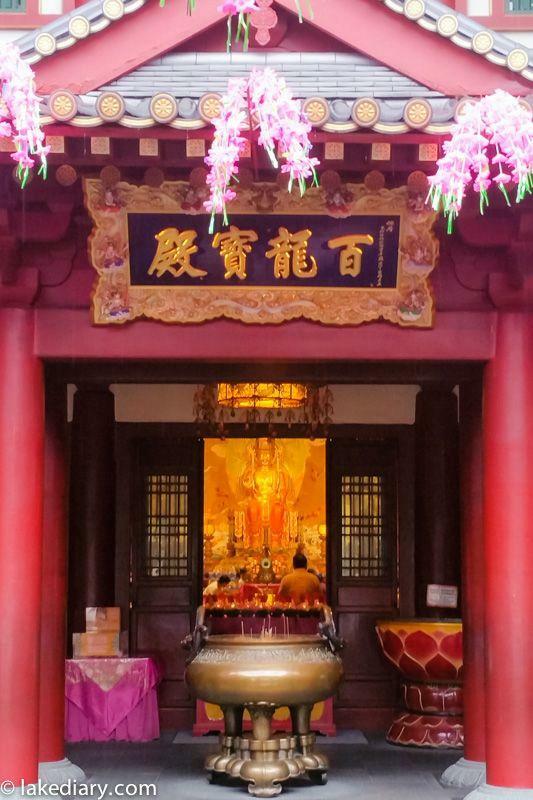 It’s smaller than the Buddha Tooth Relic Temple in size but equality amazing. I googled traditional Singapore dishes before and found out that the Hainanese chicken rice is actually originated from Singapore. There are so many restaurants in Sydney that offer this dish so I’m super curious to taste it in Singapore. Of course I googled again to see where’s the best Hainanese chicken rice served in Singapore. Tian Tian Hainanese chicken rice came up numerous times. It seemed like an easy choice as it’s in the Maxwell Food Centre, just across the road from the Buddha Tooth Relic temple. It turned out there was quite a bit construction work going on so it was not that straight forward to go in the Maxwell Food Centre that day. Still it was just a short walk from the temple and Tian Tian hawker stall is right at the entrance. 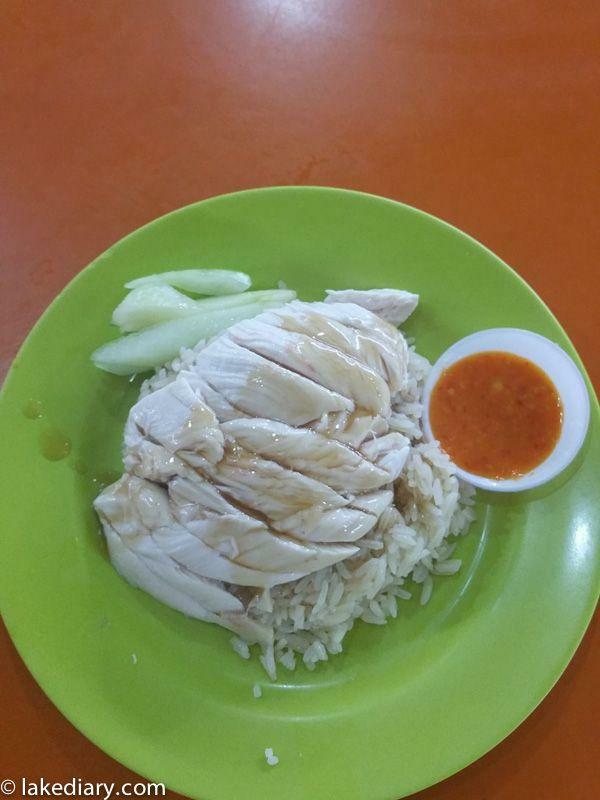 Hainanese Chicken rice from Tian Tian was serviced in 2 sizes, one small, one large. The large size is not that large and small is indeed, quite small in portion. As you can see, the presentation was extremely plain but it tasted really good. The price of Hainanese chicken rice dish from Tian Tian Hawker stall is noticeably higher than other hawker stalls in Singapore. Maybe because it’s gained good reviews on the internet over the years hence the premium being charged. 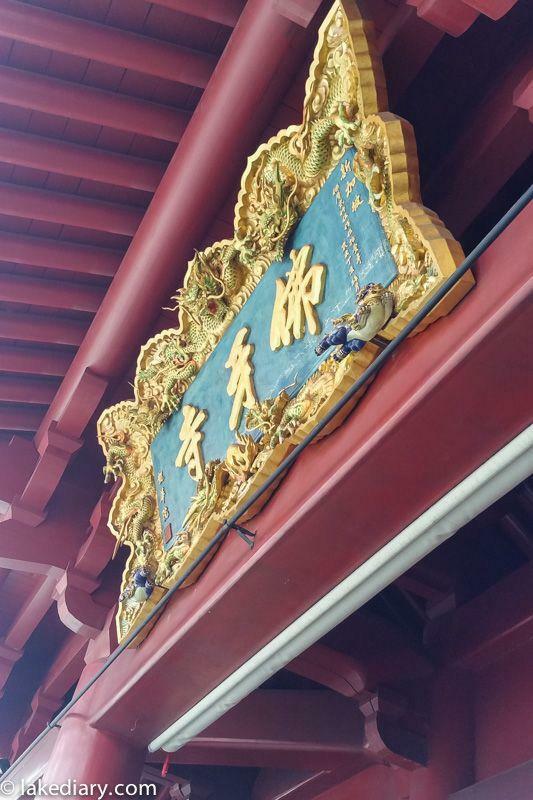 Is it worth travelling all the way to have this dish from Tian Tian? In my opinion, it’s not worth it. The surrounding has a rather cheap feeling, there’s no tissue provided with the dish. Truth be told, we could easily get much bigger portion, equality tasty Hainanese chicken rice served with proper cutlery in Sydney for the same price, if not cheaper. Sorry Tian Tian, maybe I’m just spoilt, haha.